DeepLearning... A topic that we hear a lot about and that promises a lot. Deep learning is the technology behind intelligent drone flight, self-driving cars, robots recognising a huge number of objects, people tracking video feeds... But how can it be used? In this course you will focus on learning the essentials for starting doing image recognition with DeepLearning. 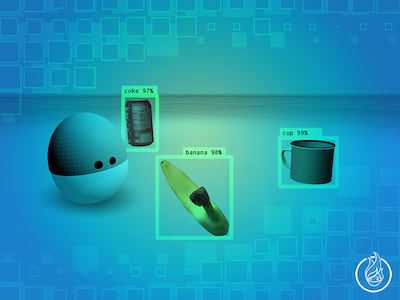 You won't learn each and every nook and crany of deeplearning, but the few elements you learn you will be able to put them into use and apply them in the real life integrated with ROS. - Generate your own TensorFlow Inference graph to make it learn custom objects. - Use the TensorBoard Web visualiser to monitor how the learning process is going. TensorFlow Image Introduction to the Course and you'll also view a practical demo. How to launch Tensorboard to visualise TensorflowRelated information, specifically a DeepLearningModel file graphically. Hands-on microproject: You will apply all of the basic knowledge that you have of image recognision/learning with TensorFlow.